Notable engagements elsewhere: debut at the Tanglewood Music Festival as Rodolfo in La bohème with the Boston Symphony Orchestra, joined soprano Nadine Sierra in concert at Festival Napa Valley, sang Duca in Rigoletto with Berkshire Opera Festival, Marco in Chadwick and Barnet’s Tobasco with New Orleans Opera, a gala performance as Don Jose in Carmen at the French Embassy in Washington, D.C., both Dvorak’s Requiem and Verdi’s Requiem with the Greenwich Village Orchestra and St. George’s Choral Society, and joined the Metropolitan Opera for their new production of Norma. Rodolfo in La bohème (Fujian Grand Theatre, China); Verdi’s Requiem (Milan Festival Orchestra); Elgar’s Dream of Gerontius (Orchestra Now); Mozart’s Coronation Mass (Carnegie Hall, New England Symphonic Ensemble); and Dvorak’s Stabat Mater with the St. George’s Choral Society. 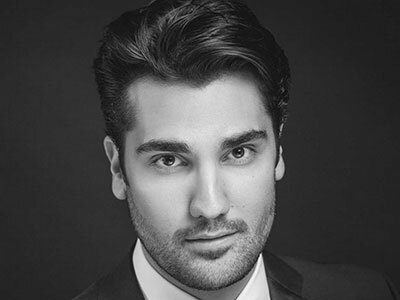 Upcoming: In the 2018/19 season he joins both Komische Oper Berlin and English National Opera as Rodolfo in La bohème. He also sings his first performances of Cavaradossi in Tosca with Festival d’Aix-en-Provence, Werther with Opera del Teatro Solis in Uruguay, and Pinkerton in Madama Butterfly with Virginia Opera.